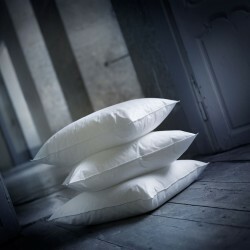 How to choose your pillow? Choosing the pillow that suits us can seem like a difficult exercise, which is why we created the personalized Ideal Night® tool.. Caution! Pediatricians do not advise to sleep a child on a pillow under the age of 36 months. What type of lining do you want ? 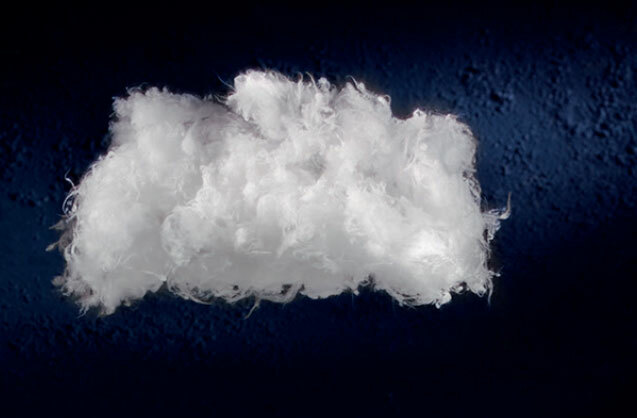 There are two major families of packing that we commonly call natural or synthetic. 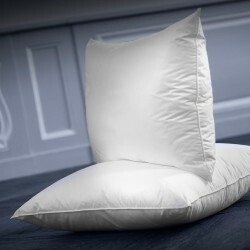 This choice is very personal, some will prefer natural pillows by family tradition or because they have a reputation for softness and flexibility. 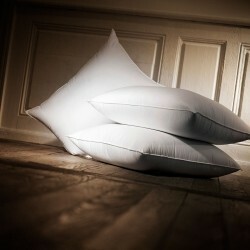 For natural pillows, the higher the percentage of down, the more fluffy and flexible they will be”. 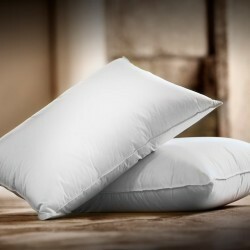 Daily pillow use for nights with an average of 8 hours sleep means that the lifespan for optimal support should not exceed two to three years. 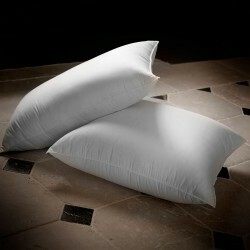 For pillows filled with synthetic materials, the material itself will be either flexible or firm. This is often why the marriage of various synthetic fibres can provide various kinds of comfort. 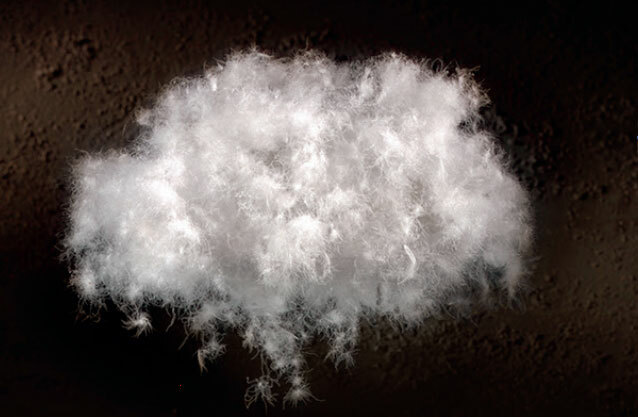 The technique we use for the manufacturing of synthetic pillows is the so-called blown technique which means we blow the material into the pocket with a determined fill weight. Finding the right filling is therefore an important point for choosing a duvet. Which comfort do you need? 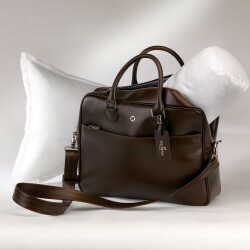 Each person has his habits to sleep and therefore needs a personalized comfort. 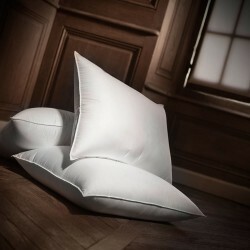 Depending on the position of sleep comfort of the pillow should be adapted to provide comfort and perfect support for the head, neck and the back. If the sleep position is the stomach , the pillow should be soft , welcoming and rather flat not to create tension in the lower back . In case the sleep position is the side and according to its size , pillow welcoming and enveloping need to avoid creating tension in the back . For people who fall asleep on the back and depending on their size pillow will bring a sustained maintains order not to create tensions over the entire column . What is the ideal format? 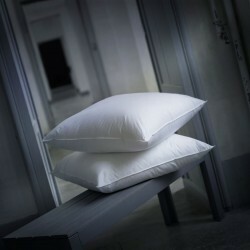 The choice of pillow size is also very important to optimize the eight average hours of sleep per night. In fact, the "American" or rectangular pillow does not support the same hold as the European square pillow. 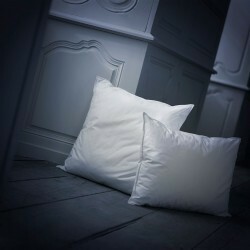 The European pillow supports not only the head and neck, but also the top of your shoulders. 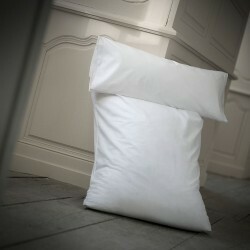 The rectangular pillow supports only the head and neck. What is your position to sleep ?